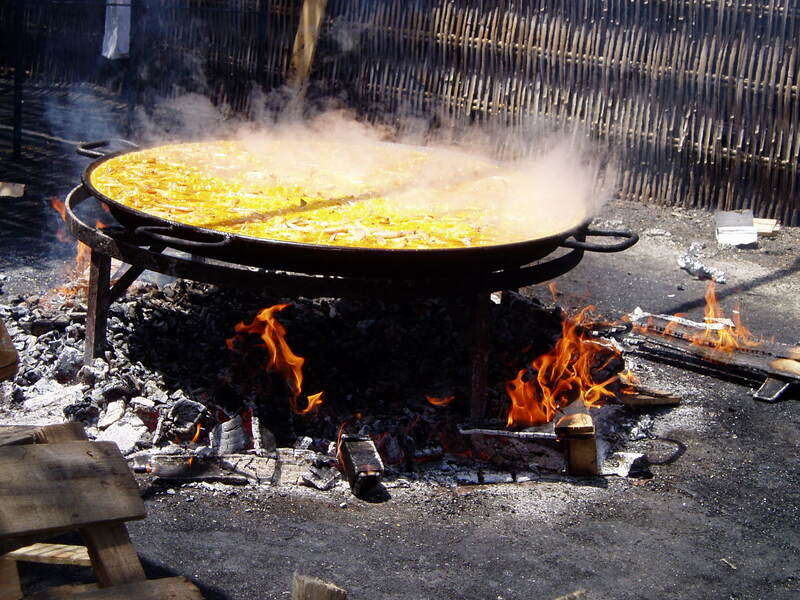 Here you can see a giant-sized paella being cooked over a wood fire at Chiringuito de Ayo on Burriana Beach in Nerja. Surrounded by palm and banana trees, Ayo´s Restaurant is something of an institution, serving up delicious food for over 40 years. There is no need to book a table but you will have to take your chances with everyone else in trying to secure the next one coming free – but that´s all part of the fun! The Spanish flock to Ayo´s in their droves to sample the mouth-watering paella, there is always a great atmosphere AND you can can queue up for a second plate – free! Mmmm you can almost smell it from here, right? I would definitely recommend you to try Ayo’s if you are in this area. That looks absolutely delicious! I would love to visit Malaga some day!